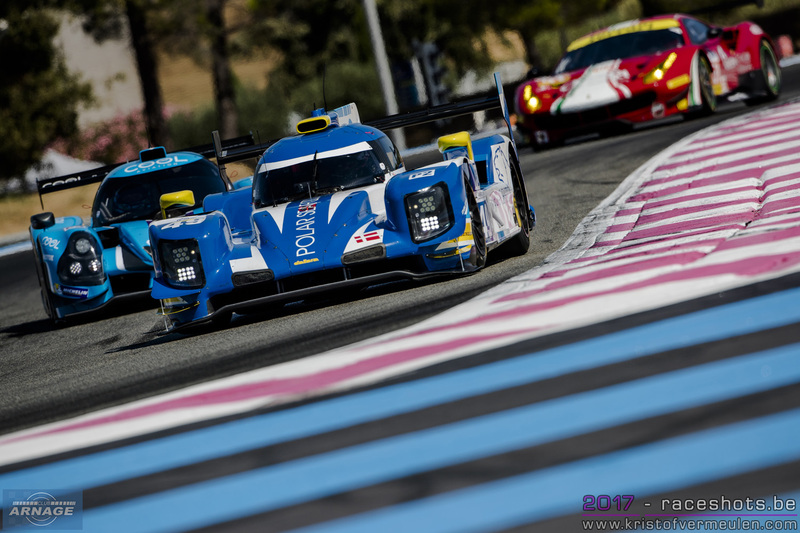 After an exciting and close 2017 European Le Mans Series, the Automobile Club de l’Ouest has made several small changes to the ELMS sporting regulations for the 2018 season which starts at Le Castellet in April. 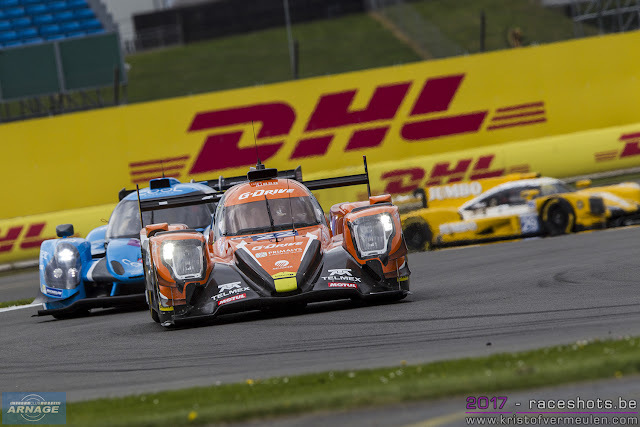 To recognise the gentlemen drivers taking part in LMP2 a new trophy will be introduced at each of the six rounds in the LMP2 category for the first crew in the general classification comprising of one bronze and one silver or two bronze drivers. LMP3 competitors will have access to four additional ‘joker’ tyres which can be used at any time during the season. The number of sets of tyres per event remains unchanged at three, with no limit on the number of wet tyres that can be used. 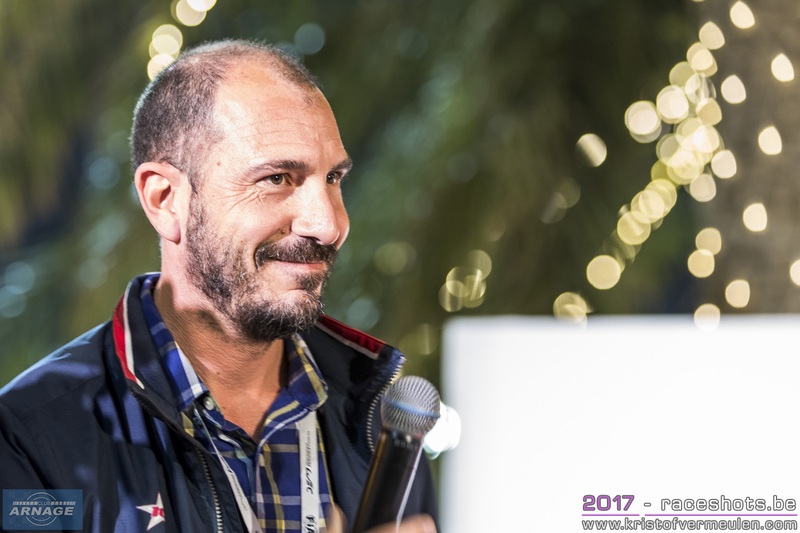 In addition to the official pre-season test at Le Castellet, the promoter will organise a private test on the Wednesday before the start of the event at some of the 2018 ELMS rounds. 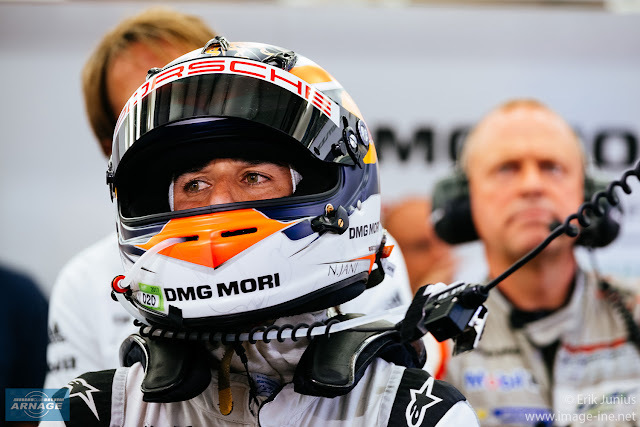 The tests will be organised at Monza, Red Bull Ring, Spa-Francorchamps and Portimão. Competitors will be allowed to bring a maximum of two wheel guns into the working area in 2018 and wheel change operations will be allowed during refuelling. Changes have been made to the minimum and maximum drive times in all three categories. In LMP2 the minimum driving time for bronze or silver drivers in two drivers’ crews has been reduced from 2h20 to 2h15. 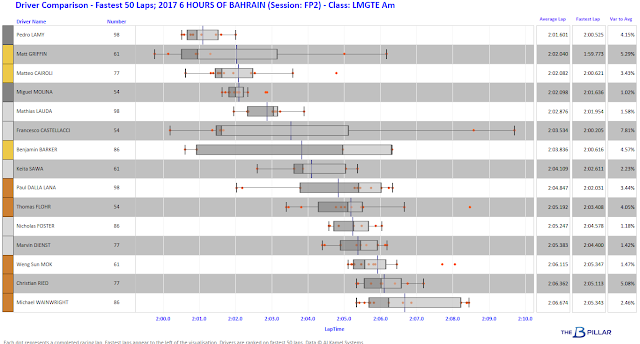 If the LMP2 crew comprises of three drivers the minimum driving time for the bronze or silver driver has been reduced to 1h10 (from 1h30) and the maximum driving time for a gold or platinium driver has been increased from 30 minutes to 40 minutes. In LMP3 if a two drivers crew consists of two bronze drivers they must drive for a minimum of 50 minutes each. 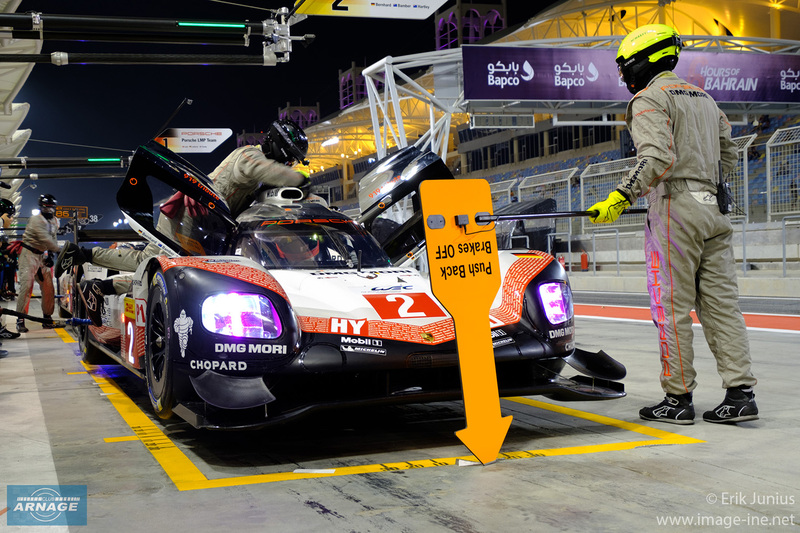 In three drivers crews that consist of two or three bronze drivers, the bronze driver must also drive for a minimum of 50 minutes (down from one hour previously). 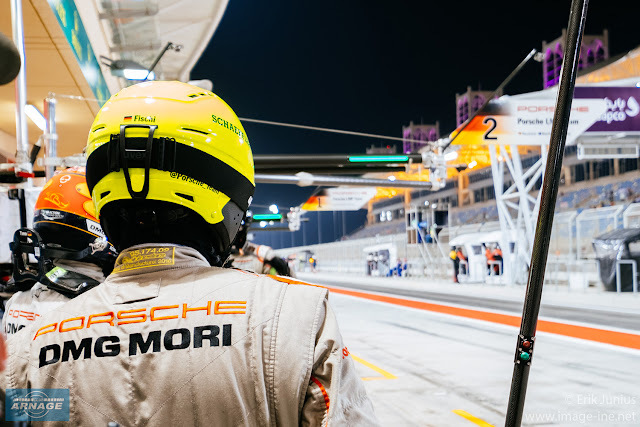 In LMGTE a bronze driver in a three drivers crew must drive for a minimum of 1h30 (previously it was 45 minutes). 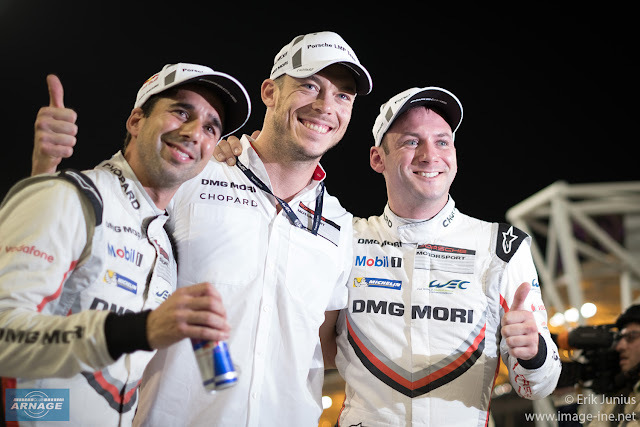 Last week was Porsche's final qualifying session with the 919 Hybrid at the 6 Hours of Bahrain, scoring pole position with the #1 of Neel Jani, Andre Lotterer and Nick Tandy. We've had Erik Junius in the pitlane focusing on the Porsche team during those final 20 minutes of qualifying for the 919 Hybrid and the 2017 season. More pictures of Erik can be found on his instagram page or website. 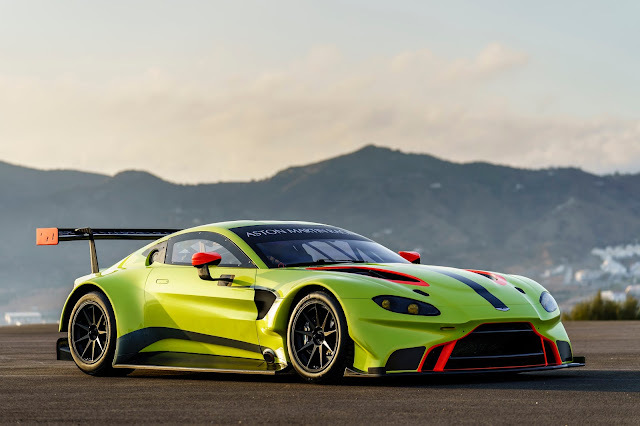 Built to comply with the FIA’s strict GTE class regulations, the new Vantage GTE takes the road car’s core design and dynamic capabilities to a whole new level through extensive optimisation of the powertrain, chassis and aerodynamics. 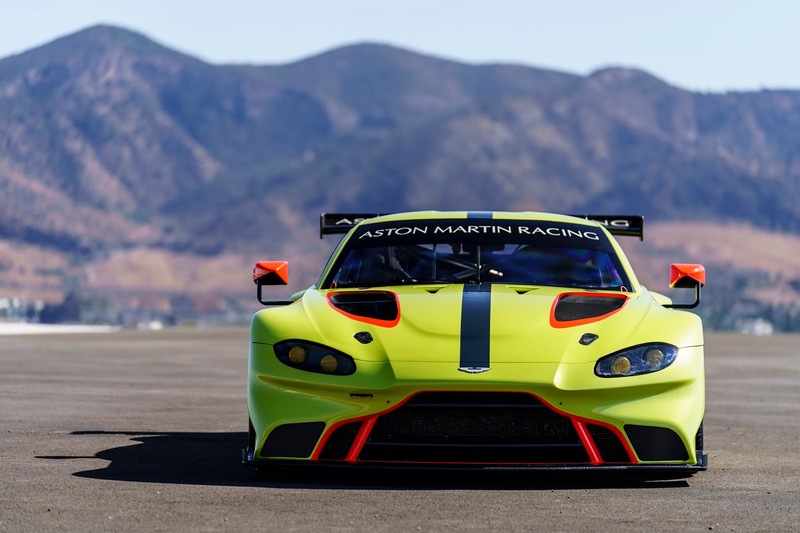 The car has been designed and engineered in-house at AMR’s headquarters in Banbury, and led by Technical Director Dan Sayers, who also led the design and development of the current V8 Vantage GTE - the car credited with 36 of the team’s 50 international race victories, including two Le Mans 24 Hour class wins. Before the launch of the all new Vantage, the development has been long going already and is well advanced, with up until now more than 13.000 km of testing completed. A 30 hour endurance test in Navarra and a very intense test programme at Sebring have been the highlights in the testing programme so far. 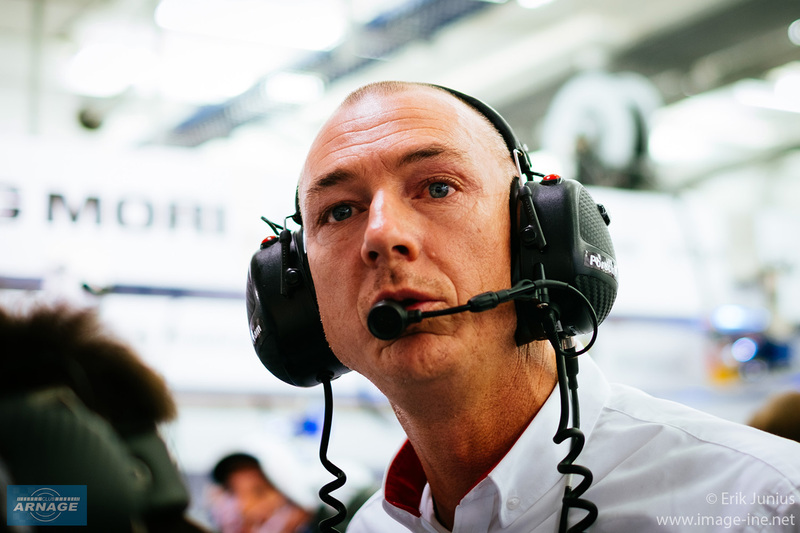 Reliability has been reported to be exceptional straight out of the box, while the drivers have reported the car is easier to control on the limit than its predecessor. 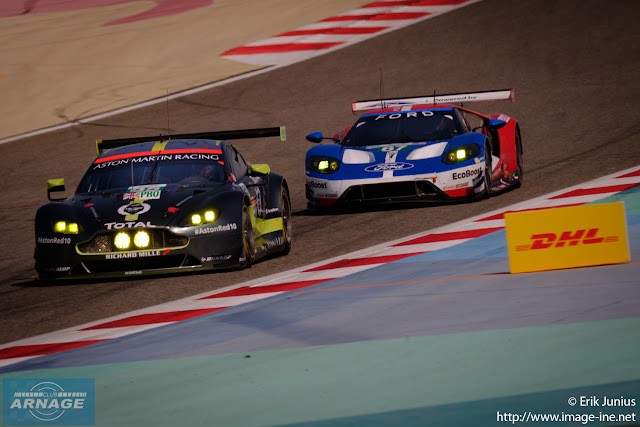 The engine in the new Vantage GTE is also brand new, and no longer normally aspirated. The new powerhouse of the Vantage is based on the turbocharged Mercedes AMG 4.0 litre V8 engine which also features in the new road car Vantage, and has been developed for use in the Vantage GTE application by Aston Martin Racing. 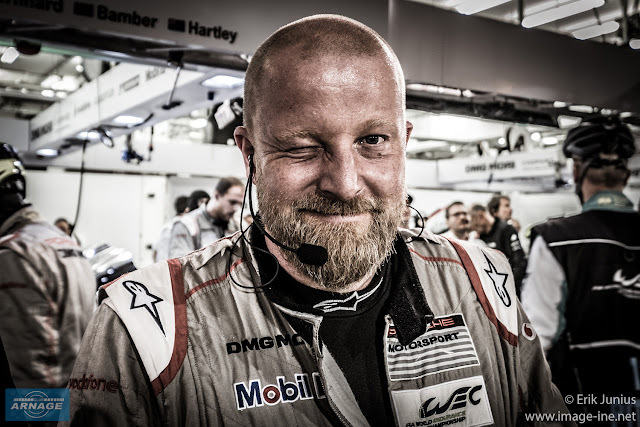 With a new car to develop, Aston Martin Racing has kept its highly experienced and successful driver line-up. This year’s Le Mans 24 Hours GTE Pro class winners Darren Turner and Jonny Adam have been retained, as have the Danish duo and 2016 FIA WEC GTE Pro world champions, Nicki Thiim and Marco Sørensen. In addition, AMR has recruited ex-GP2 race winner and now Formula E racer Alex Lynn. Further driver announcements will be forthcoming. 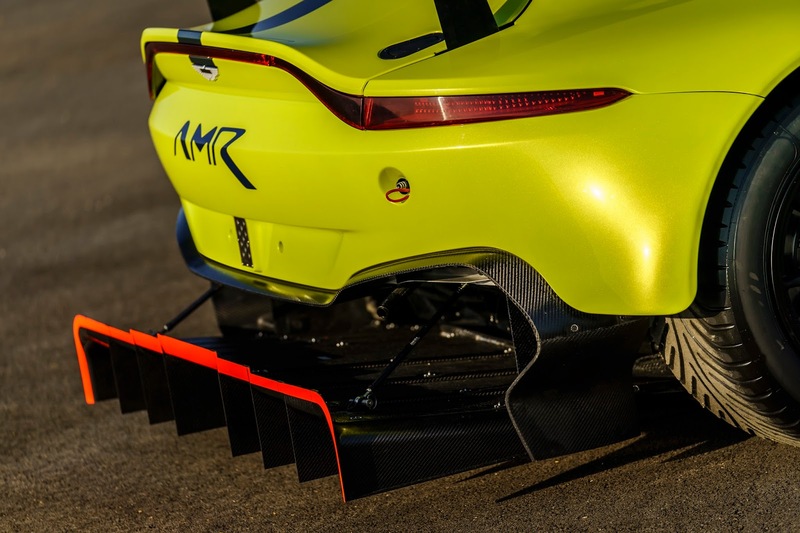 Aston Martin Racing has also announced a few new technical partners who have been involved in the development of the new Vantage and will be working with the team: Alcon for the braking system, Öhlins for the suspension and the return Michelin for a bespoke tyre programme, after racing with Dunlop for the past few years. 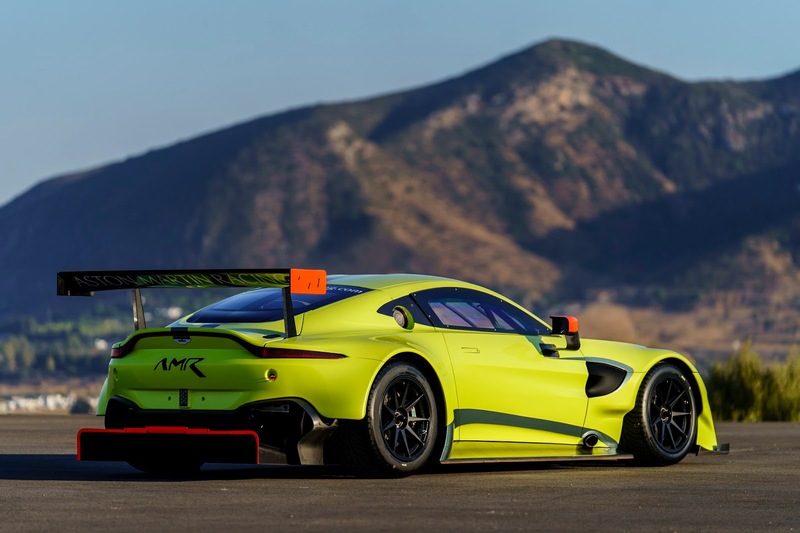 Also, the in-house Aston Martin Design team, led by Chief Creative Officer Marek Reichman have taken their intimate knowledge of the road Vantage styling and amplified it for the WEC version. Aston Martin Racing Technical Director, Dan Sayers: “Designing and developing this new car has been an extremely satisfying process. We’ve collaborated closely with the Aston Martin’s Gaydon headquarters to develop the road and race cars in parallel. Attention to detail has been a priority at every step of this process and we’ve made big improvements in each area of the car. We’ve spent every second optimising the design right until the build of our test car, which has paid dividends during our current testing schedule. This project has been one of the most intensive but also rewarding of my career so far”. Managing Director, Aston Martin Racing John Gaw: “It’s terrific to be involved in this exciting new chapter for Aston Martin Racing. The increasingly tough competition in the GTE class and the prospect of two visits to Le Mans and a return to Sebring within the 2018/19 super-season is thoroughly tantalising. 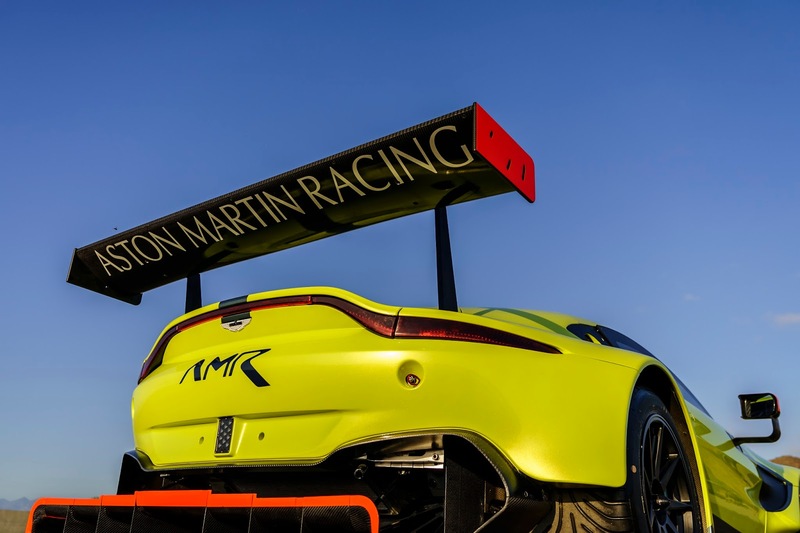 To conduct the development process of this car so closely with Aston Martin’s design and engineering teams was essential for both road and race car to retain the same underlying DNA. 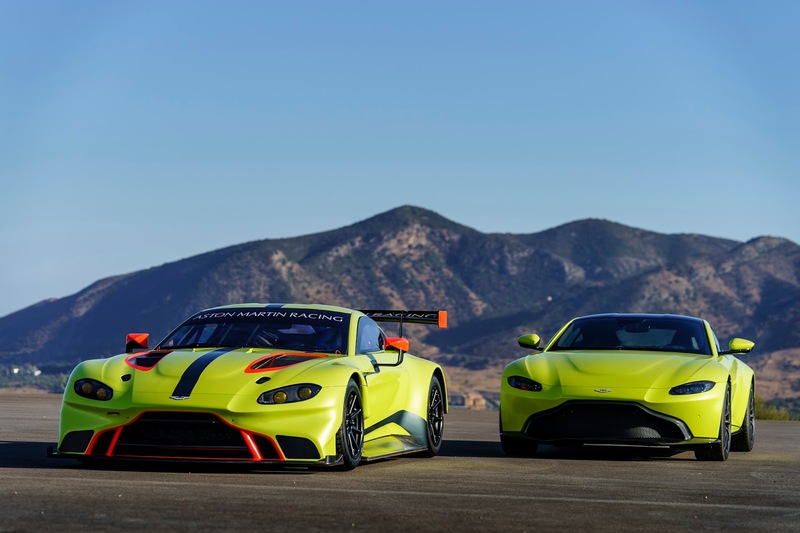 We believe the Vantage GTE will bring further success worldwide to Aston Martin Racing in the coming years”. President of Aston Martin Racing, David King: “Motorsport is fundamental to the DNA of Aston Martin and our commitment to the FIA World Endurance Championship is stronger than ever. 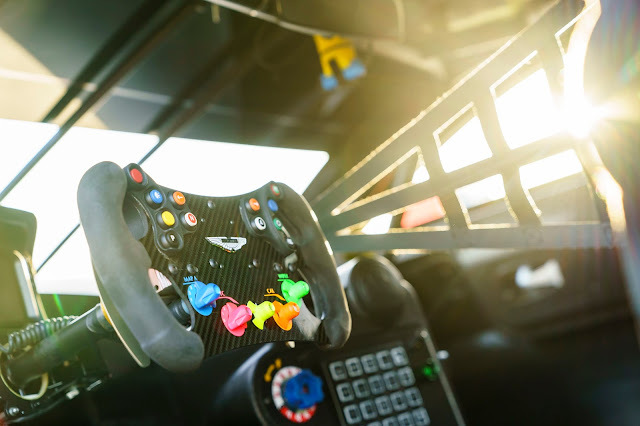 This is a golden era for GT racing and today’s launch of the new Vantage GTE will ensure that Aston Martin Racing remains at the forefront of the world’s greatest endurance series. The team has enjoyed incredible success over recent years with the outgoing V8 Vantage GTE and while this will hold fond memories for me, I can’t wait to see the new car race in anger at Spa next year and continue to write motorsport history”. This year has seen a transition of the Balance of Performance (BoP) in the GTE categories from a manual to automated process. The result is a beautifully poised battle in both Pro and Am, and the Technical Team led by Vincent Beaumesnil should be commended for what they have achieved. 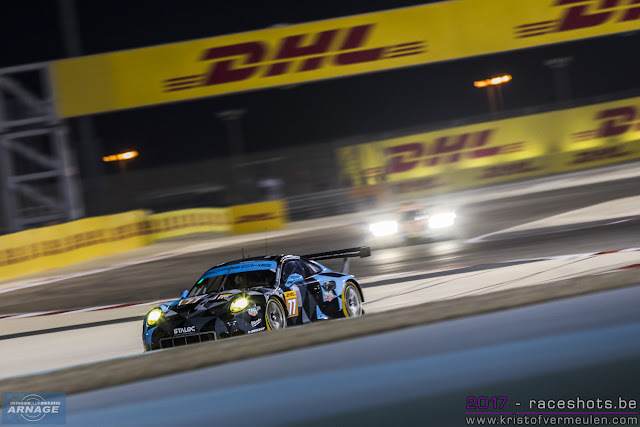 You will always hear complaints and whingeing, but once again in conjunction with our new partners @ TheBPillar we hope to shed some light here on the battles in GTE and the prospects for top step in each category. 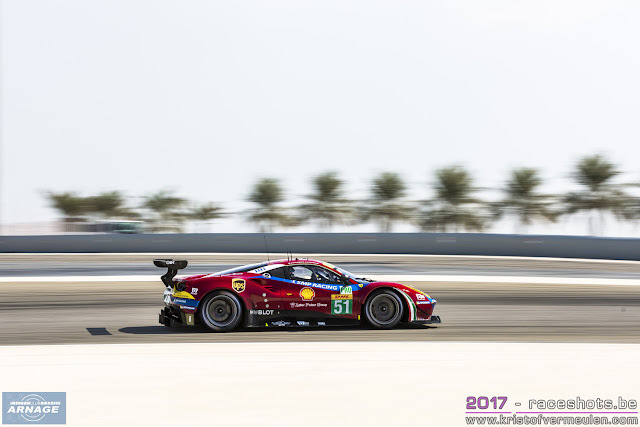 GTE-Pro is the primary example, we have a category top-three in Bahrain of Ferrari #71, Aston Martin #97 and Ford GT #67, but only the third of these cars is in the running for the championship, although it could be contended that the #71 Ferrari of Bird & Rigon could continue to play a pivotal role in securing a world championship victory for its sister car #51 of Calado & Pier Guidi. 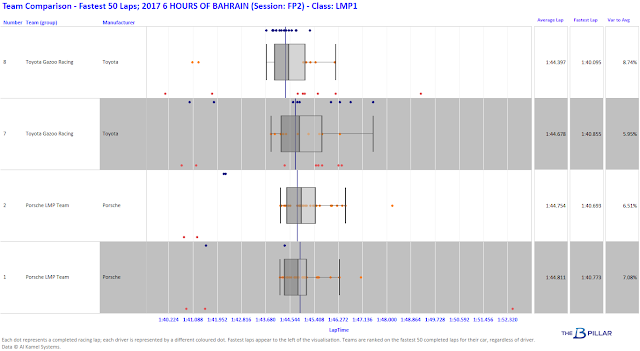 Turning to the B-Pillar Data Analysis (click it to enlarge), and in the knowledge that the cars are very balanced it is possible to see that driver performance and consistency as a team is in our opinion a key factor to success. The lower variances on faster averages all seem to reflect the top contenders this year. The one anomally that stands out is the pole sitting #71 of Bird/Rigon, which has not reached the heights of its win at Spa, but has served its sister car well by taking significant points from competitors. 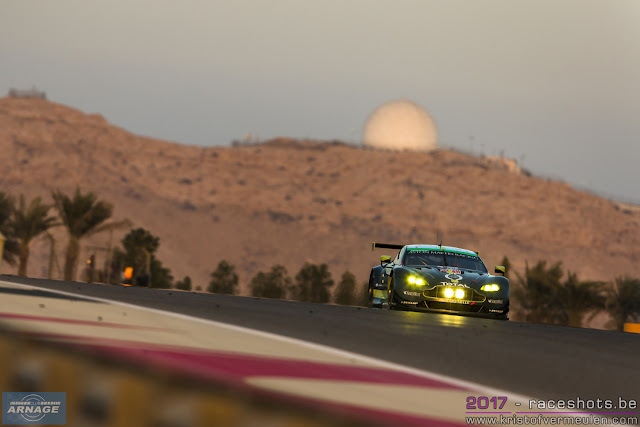 Not since the 1984 F1 World Championship could half of one point prove so vital… With 25points for the win everything is still to play for in this Desert Decider! By no means least we come to the GTE-Am category which is set to expand in 2018. We have followed for some time now the progress of the #98 Aston Martin enjoying victories previously with Paul/Pedro/Mathias at Spa and experiencing the commiserations of getting so close at Le Mans. Things have really clicked this year, and much of that has been down to Paul Dalla Lana and his pace as the Gent (we can’t refer to him as Am) in the car. 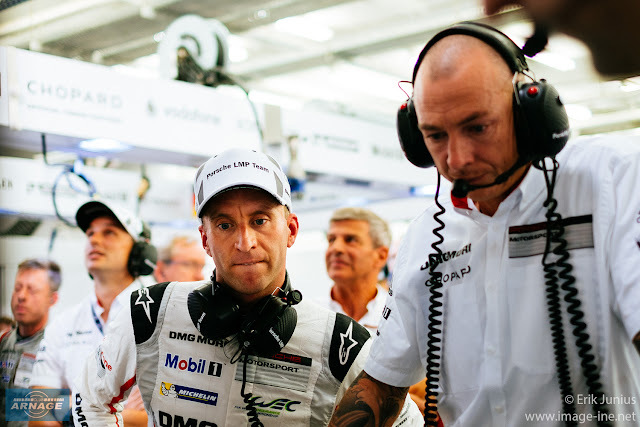 It is not normally our way to pick out one driver, they are a team, as above at Spa they win together, and at Le Mans they all felt the pain together. But the graphic analysis below from The B-Pillar shows why Paul Dalla Lana and the #98 crew are in the dominant leading position in this category. The #98 took the category Pole, with the #61 Clearwater jumping the #77 Porsche for second on the -Am grid. 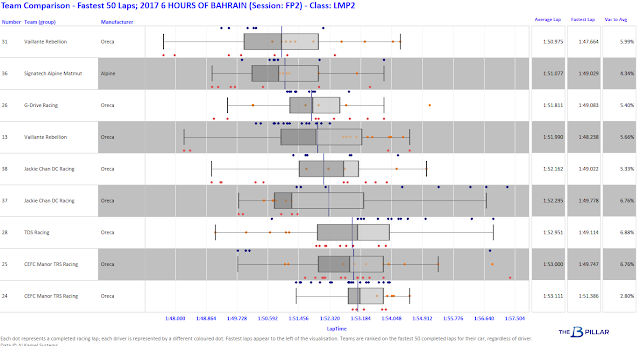 So that is the set-up, the preview of the finale at Bahrain, a fabulous circuit well worth a visit. It drops from the 2018-19 ‘Super’ Season but its understood to be a firm favourite to return to the future winter calendar. Certainly looking out on a chilly, grey British scene brightened only by the colours of autumn, we look forward to its return, and are starting the fund-raising for a trip now! 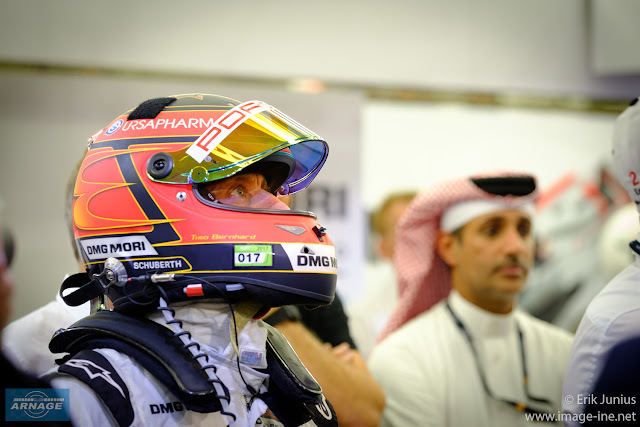 Lets hope Bahrain delivers the championship finale that across the categories this World Championship deserves. Enjoy the coverage on TV, Radio, Twitter or by write-up. See you at the track. This article has originally been contributed by Nick Holland for Sportscarglobal. Give him a follow on his twitter account @Nick Holland for more news and insights about the world of endurance racing ! The World Endurance Championship (WEC) reaches its final stop of the 2017 season, Bahrain. And once more the venue bids a farewell to another top flight manufacturer, Porsche. Audi had been broadly dominant in the face of Peugeot and then Toyota opposition, Audi rose to those opponents and sharpened its game from one season to the next. Porsche’s arrival proved different, and the petard that did for both of them in the end proved to be the diesel mill-stone that Audi soldiered on with against the technological might of the multi-hybrid Porsche clock-like V4. Porsche arrive in Bahrain having sealed firstly the Manufacturers, and last time out the Drivers championship. Hence this round is something of a Cup Final in LMP1 and it is set-up beautifully. 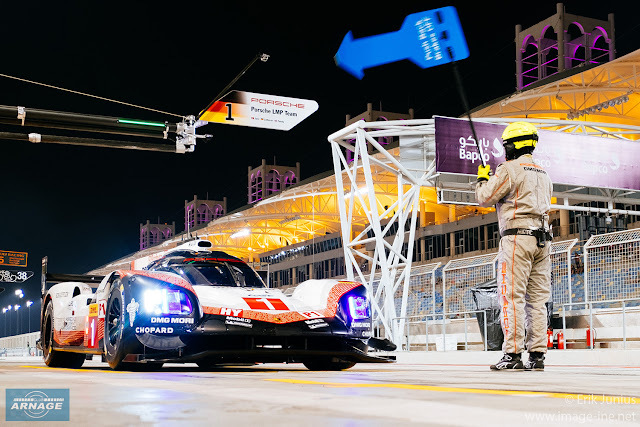 Toyota have been resurgent at the last two rounds, and Porsche has languished, securing the Championship wins, but somehow playing out the game checking their collective watch for the final whistle. 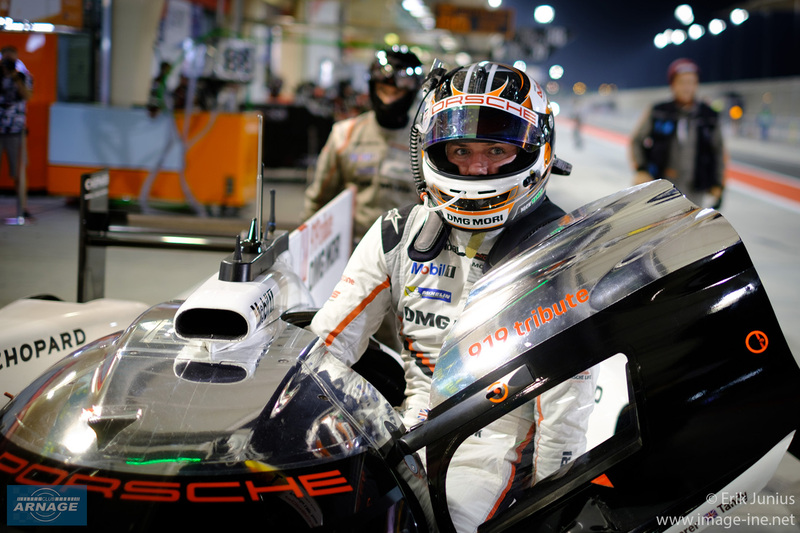 Yet two things matter very greatly in LMP1. 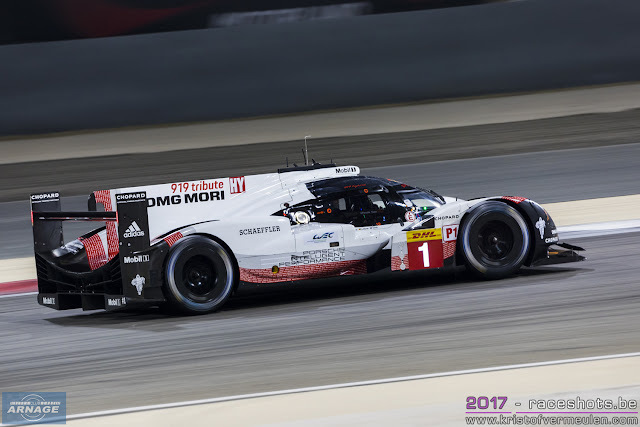 Porsche will want to say ‘a bientot’ to top flight Endurance Prototypes, as they have a few times before, from the top step. What better way to set the seal on their current period of dominance? Toyota will of course have a very different perspective. 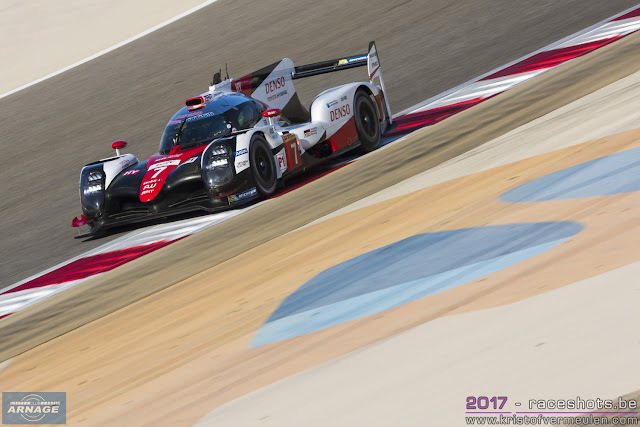 We expect Toyota are returning in the 2018/19 ‘Super’ season, they have the last two wins, and will want to go into this winter with a hat-trick, bragging rites etc.. To finish like that will give Toyota Motorsport Group the confidence that against top manufacturers they held their own, indeed they were in the accendancy. In the boardroom you might consider the high morale standards of Japanese business culture will have won out against some dubious practices off-track, in the industry, that have culled the Volkswagen brands from this level of competition. 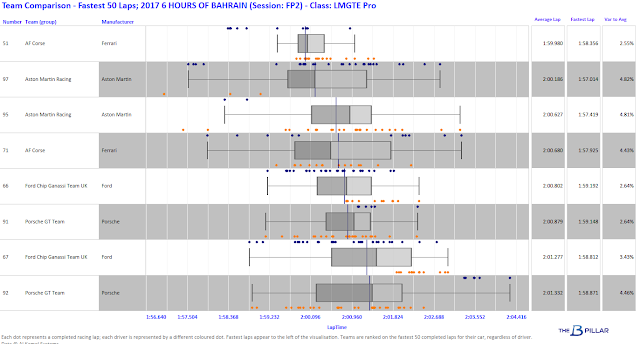 The above graphic (click to enlarge) should give you some insight into how close we expect the LMP1 battle could be. 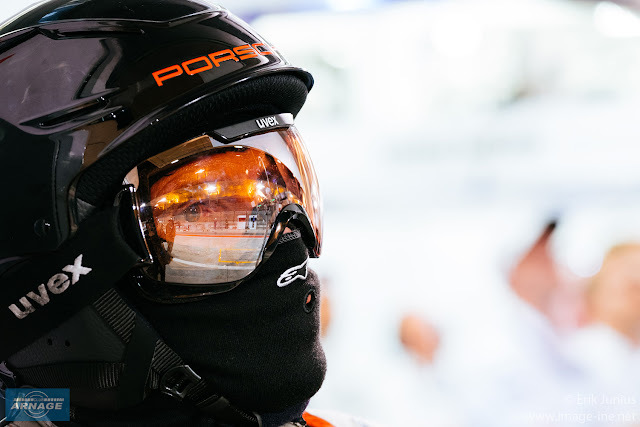 The data comes from Free Practice 2 as the closest session in terms of time of day to race conditions. 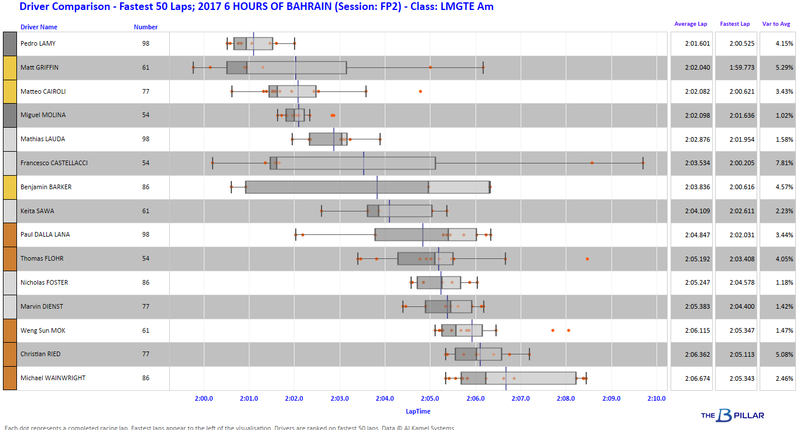 It focuses on the Top-30 laps by each car arriving at an average, a variance from that average, with different colour dots in each swim-lane representing different drivers. Note the #8 Toyota has the best average (farthest to the left), but also the highest variance around that average. 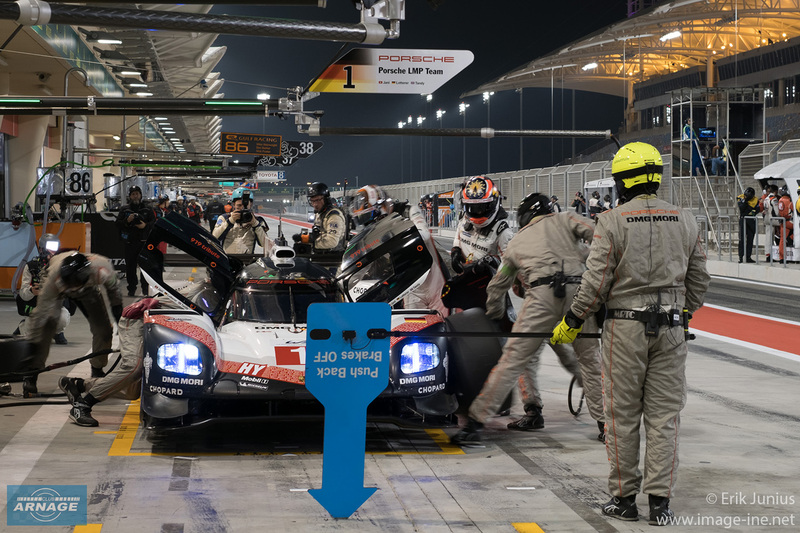 With the #7 Toyota having the best average and tightest variance, closely followed by the #2 Porsche and the #1 Porsche having taken pole, the potential tomorrow for a door handle banging race is in our opinion high! 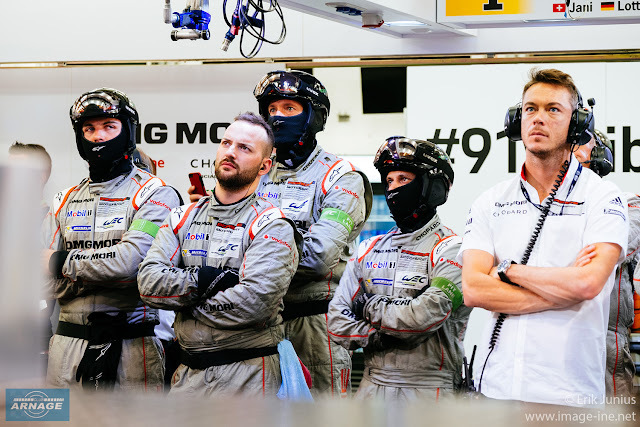 Certainly there is zero reason for the 919 Hybrids to leave anything in the locker, or for one to look out for the other. Every man for themselves! For the LMP2 runners the story could not be more different. The championship is closely balanced between three contenders across three distinct teams. On pole in the category is the championship third placed car #36 of Signatech Alpine Matmut, 22 points adrift in the standings, but with 25-points for the win mathematically still in with a shout. 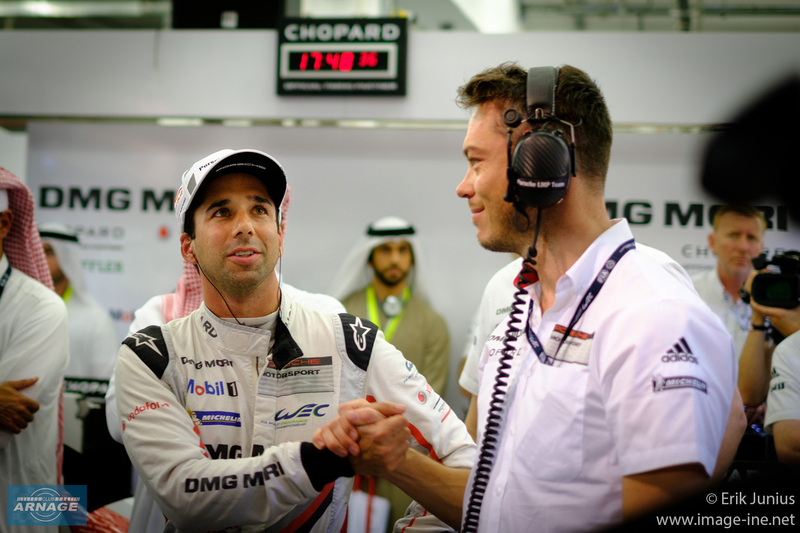 The line-up of Lapierre, Menezes and Negrao are working well together and the pole completed a class hattrick for the car at Bahrain. Second on both the grid and in the championship is Jackie Chan DC Racing #Mighty38 of Tung, Jarvis and Laurent, who trail the championship leader by just 4-points after trouble in Shanghai last time out. 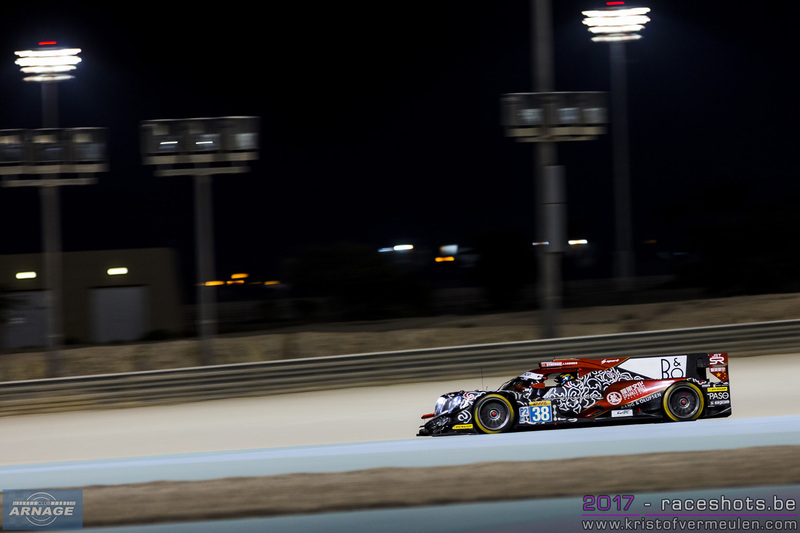 Third on the LMP2 grid are championship leaders with 161-points the #31 Valliante Rebellion Oreca of Canal, Prost and Senna. Looking to the analysis provided by The B-Pillar below, it is all much of a much-ness. If it comes to the Silver driver in each car, there is little to pick between Negrao(#36), Laurent(#38) and Canal(#31)… Laurent edges it but Negrao has been improving latterly. 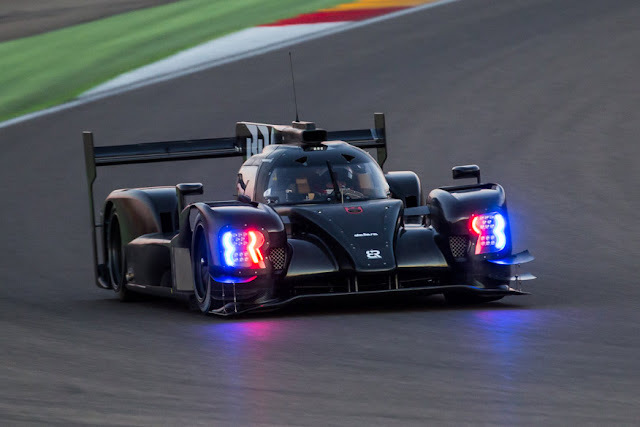 Most likely LMP2 will come down to a battle between the #31 Rebellion and #38 Jackie Chan DC Racing by Jota Orecas, but with all the other cars so close expect fireworks! A cool, calm approach will likely win out. That concludes our assessment of the Prototype battles. It is a sociable (1300uk start) afternoon race from the UK, but into the lit-darkness in Bahrain. Check your local listing for TV coverage, sign in to the FIAWEC app or if you have to be out and about headphones and the Tunein app with Radio LeMans on it will be a wise choice. Make sure to follow our friends of @SportscarGlobal and @TheBPillar where you can expect plenty of twitter comment, info, interaction and insight. Enjoy the Race, see you trackside! 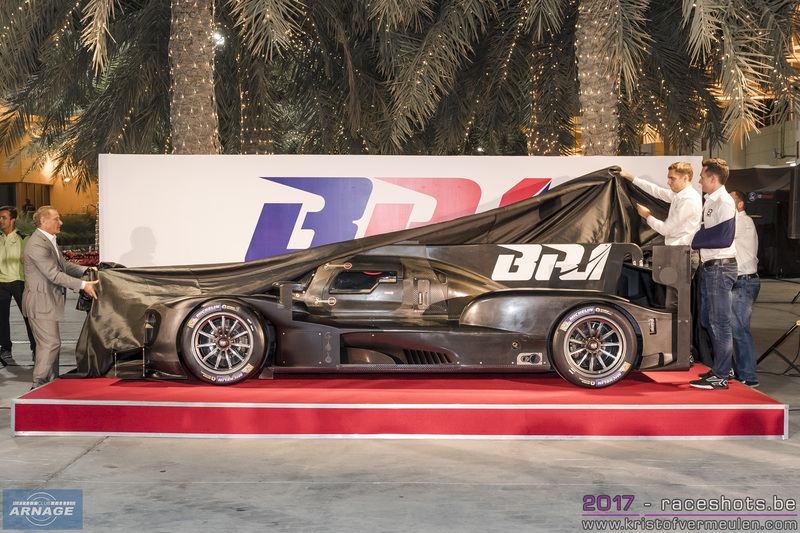 During the launch of the BR1 at Bahrain yesterday evening, Dragonspeed has been announced as the team's first customer to run a second BR1 in the 2018/2019 FIA WEC superseason. After securing the 2017 ELMS title in Portimao last month, Dragonspeed announced their intent to race in LMP1 next season. 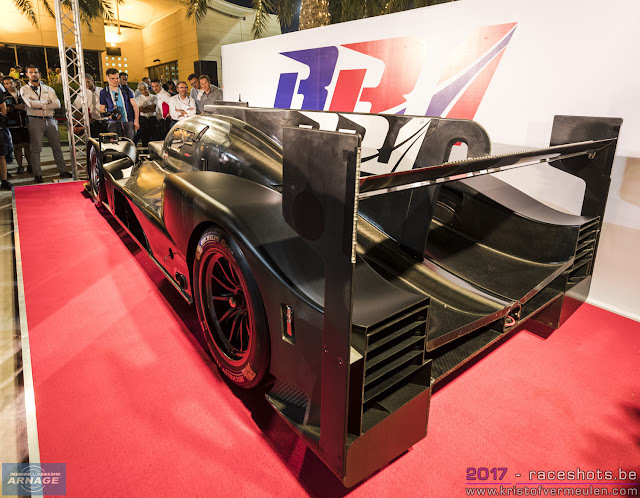 Initially they kept all options open towards chassis and engine manufacturer, but were looking into a collaboration with Oreca. 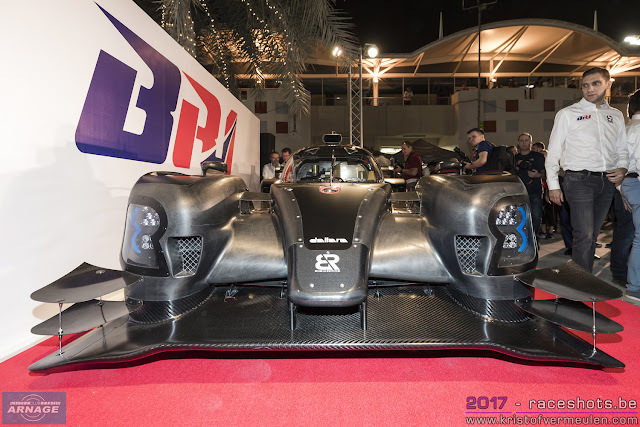 Since Oreca couldn't give any assurance about a possible LMP1 project, contact were laid with Dallara and SMP Racing, resulting in the decision to opt for the BR1/Dallara chassis and a brand new Gibson LMP1 engine. Ben Hanley and Henrik Hedman have already been confirmed as drivers for next season, the third driver is yet to be selected and announced. 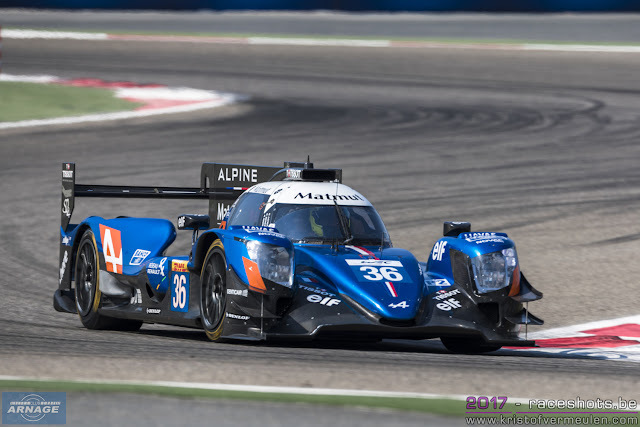 Nico Lapierre, who is now racing with Dragonspeed in the ELMS and Signatech Alpine in the FIA WEC might be one of the main contenders for the third seat given his experience in LMP1 with Toyota. 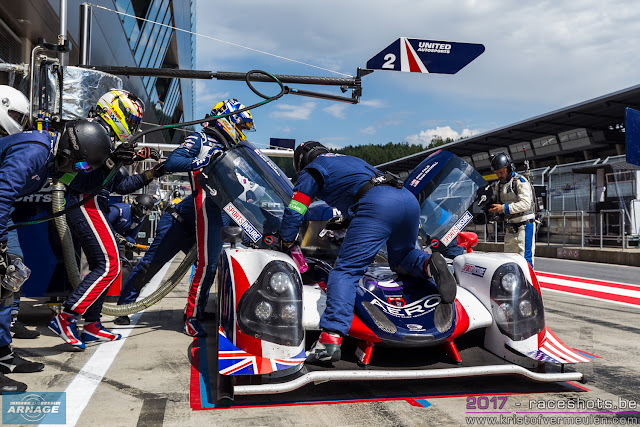 It's also confirmed that the American based team will continue to compete in the European Le Mans Series with one of their Oreca 07's, for which they are looking to find a customer. Dragonspeed will use the all new Gibson GL458 engine in their BR1. 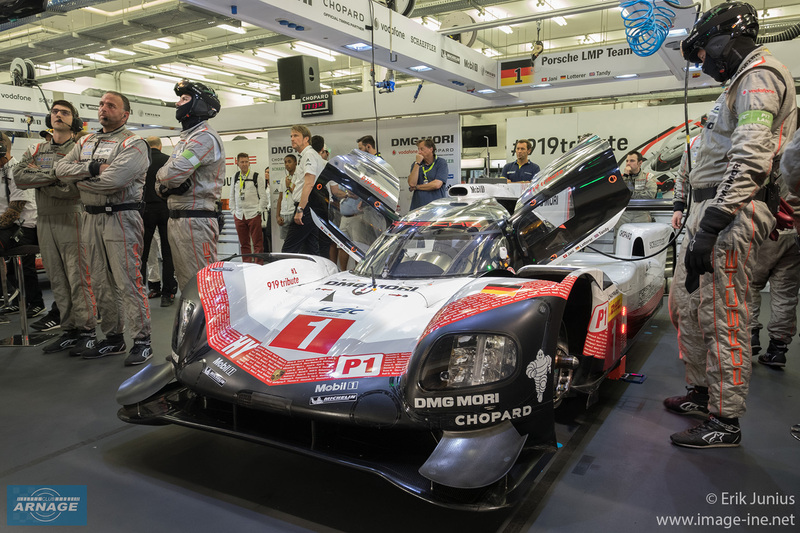 The new LMP1 engine supplied by Gibson will be based upon their successful LMP2 engine. Design, development and production of the new GL458 are taking place at Gibson’s Repton facility, with the first engine being scheduled for delivery to DragonSpeed in late February. 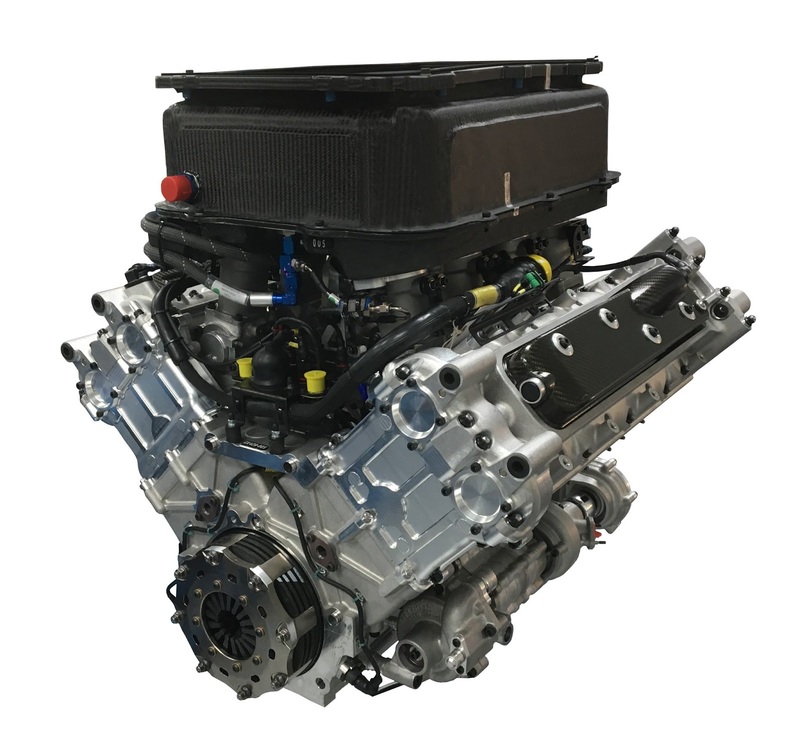 All LMP2 WEC, ELMS and Le Mans 24 Hour teams are currently powered by Gibson engines, with over 500,000kms covered so far with the GK428 engines. The new LMP1 contract with DragonSpeed is a natural progression for Gibson’s highly motivated engineers to prove their reliability and success at the top level of endurance racing. 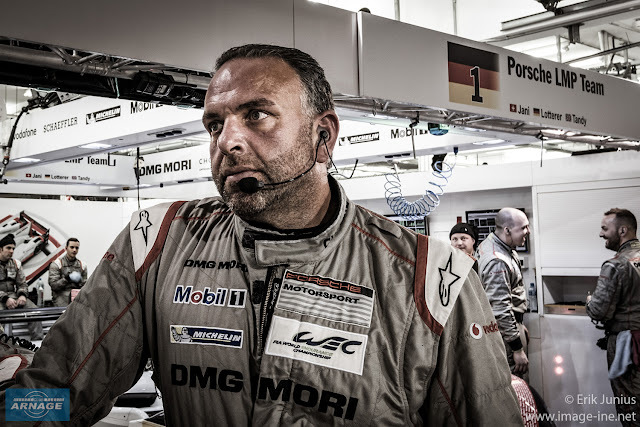 “I am delighted to forge this alliance with Gibson Technology” said Elton Julian, DragonSpeed team owner. 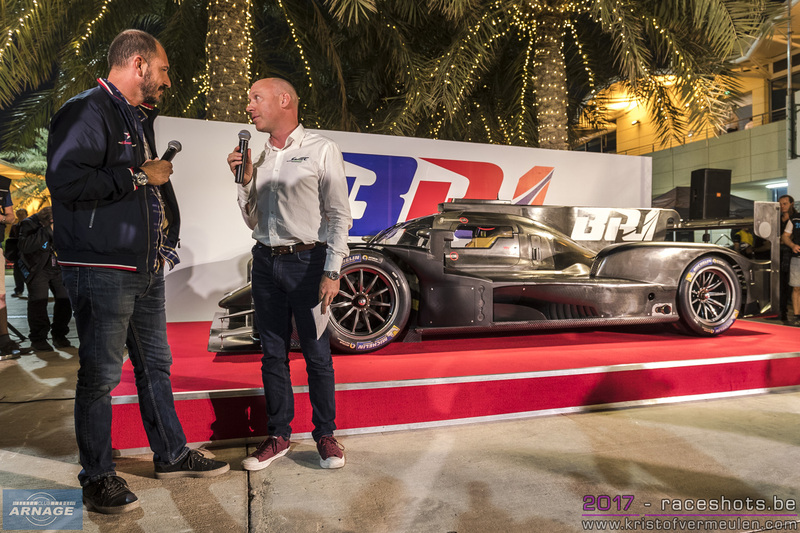 “Having personally raced with their engines in the past and now winning our first LMP championship as a team owner with their power plant, I can’t think of a better partner for DragonSpeed’s next challenge. Reliability, support and the common desire to succeed make this the obvious choice for our programme”. Exactly one year after BR Engineering announced its plans to build a new LMP1 racecar in conjunction with Dallara, its BR1 has been presented in the Bahrain paddock yesterday. The BR1 is the first of the new LMP1 prototypes that officially breaks cover ahead of the 2018/2019 FIA WEC super season. Boris Rotenberg, president of BR Engineering unveiled the car together with test drivers Vitaly Petrov and Mikhail Aleshin. Rotenberg praised the hard work that has been done in the past 365 days by chassis builders Dallara in conjunction with Russian engineers and students of techincal universities who participated in the deveopment of the prototype: “The significant fact is that we’d announced the agreement between BR Engineering and Dallara to start working on the BR1 prototype exactly a year ago on November the 17, during the FIA WEC 2016 final round. Today we are honoured and pleased to present you the result of these 365 days of hard work. Having the best racing car production experience and the achievements of one of the best companies – Dallara. As well as Russian experts and SMP Racing drivers Vitaly Petrov, Sergey Sirotkin, Mikhail Aleshin, Victor Shaitar, Kirill Ladygin took part at different stages of the car’s development. 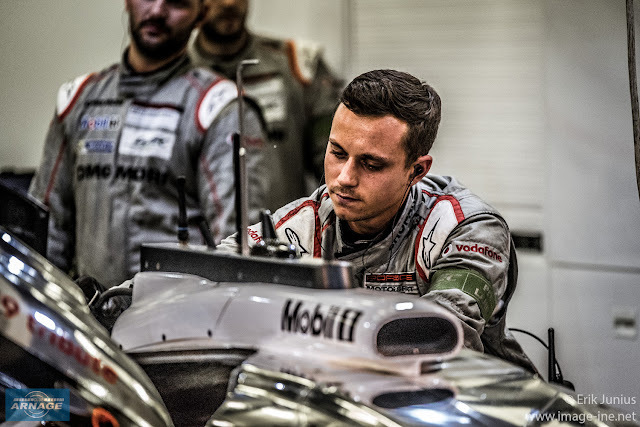 The drivers worked on the simulator and their task was to make their professional suggestions into key aspects of the prototype development - from ergonomics to the car’s behavior on the track." 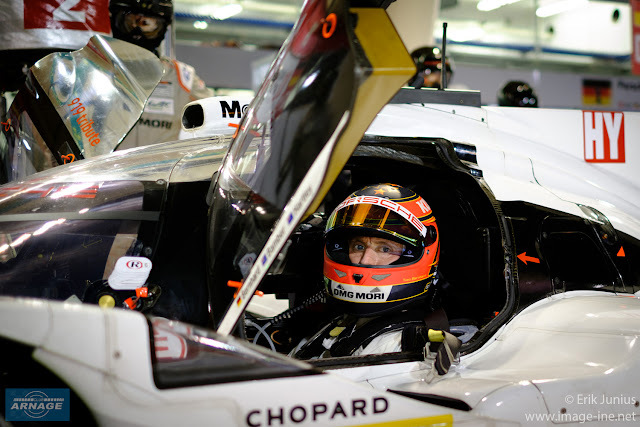 The car arrived in Bahrain straight from its initial test in Aragon, Spain earlier this week. During its 2 day rollout Petrov & co managed to run over 1000 km already which is pretty impressive for a first real test of new car. Petrov said the car felt really good from the beginning and they just wanted to keep on running, despite the engineers calling them to ease up a bit. BR Engineering has an impressive line-up of test drivers who will continue to work on the development of the car. Mikhail Aleshin stepped out of his Indycar program to develop the BR1 and is joined by former F1 driver Vitaly Petrov, Sergey Sirotkin and LMP stalwarts Victor Shaytar & Kirill Ladigin. 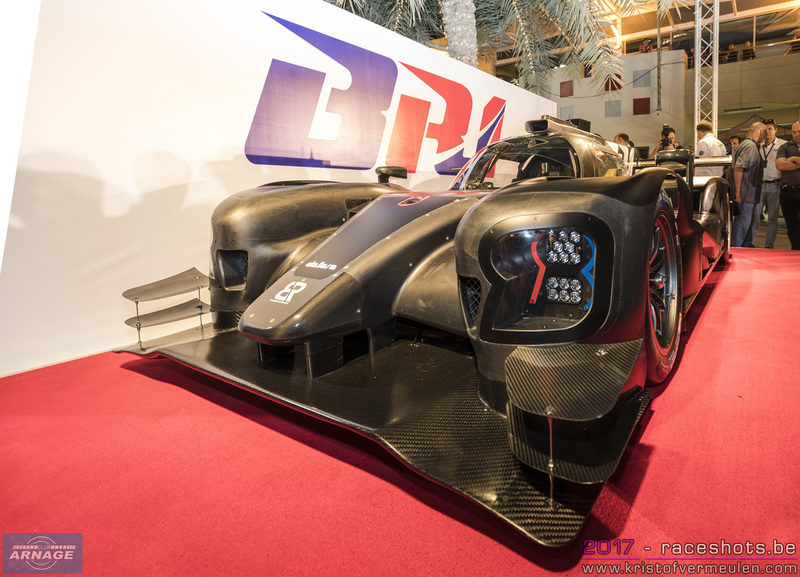 It's expected that the BR1 which will run under the SMP Racing flag, with support of ART Grand Prix will feature an all Russian driver line-up. Testing will resume as soon as possible when the car gets back in Europe. 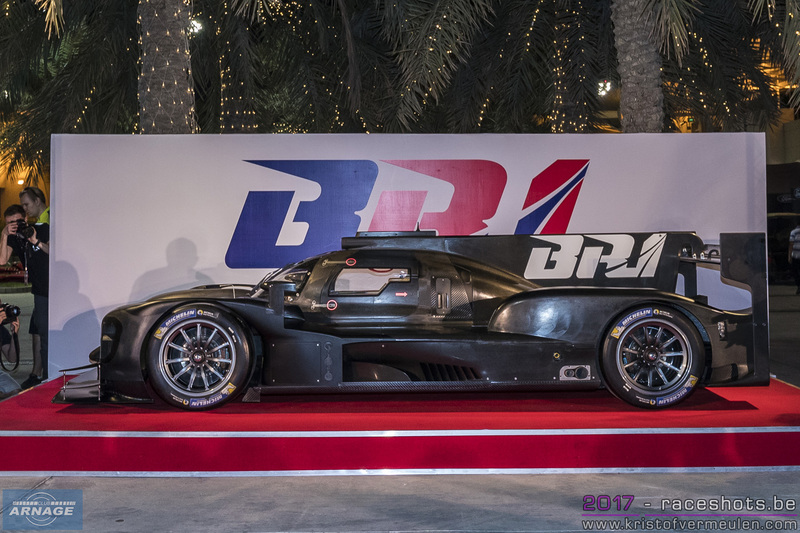 The BR1 has a weight of approximately 930 kg and will be powered by a twin turbo AER V6 engine with a power output of 720 hp. 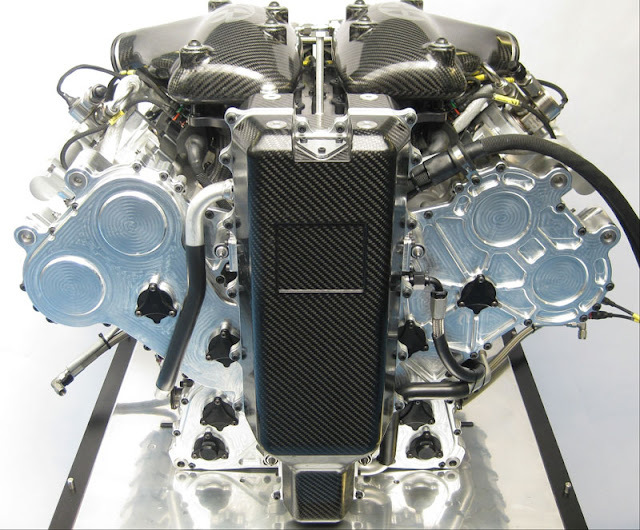 It's also possible to fit other engines like the Mechachrome (which well feature in some of the Ginetta LMP1's), the new Gibson engine or other manufacturers. The AER engine has also been introduced yesterday, in the wake of the BR1 presentation. The engine is the successor to the successful P60 LMP1-L engine, and features substantial technical upgrades. 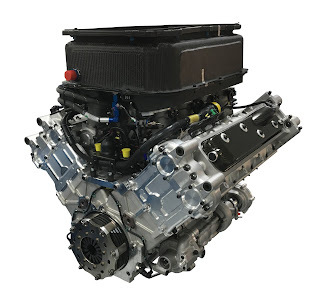 Like its predecessor, the new P60B is a very compact, lightweight twin-turbocharged GDI V6 and specifically designed for peak fuel optimization and the FIA WEC in the LMP1-L class. 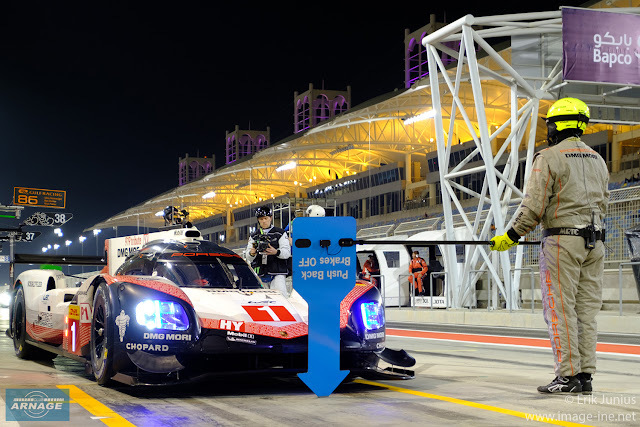 Ellis noted that as a complement to endurance track-testing, AER is undertaking constant in-house dynamometer testing that substantially exceeds the demands of the Le Mans 24-hour race’s duration. © 1995 - 2018 Club Arnage - All rights reserved. Powered by Blogger.